Here at Ganley Lincoln of Middleburg Heights, we've made it our mission to be the automotive home of drivers throughout the Middleburg Heights, Strongsville, Parma, Cleveland and Medina OH area. We achieve that goal by providing a vast selection of new and used vehicles, exceptional car care and legendary customer service with a smile! When it comes to buying a vehicle, there's nothing like a brand new inventory. 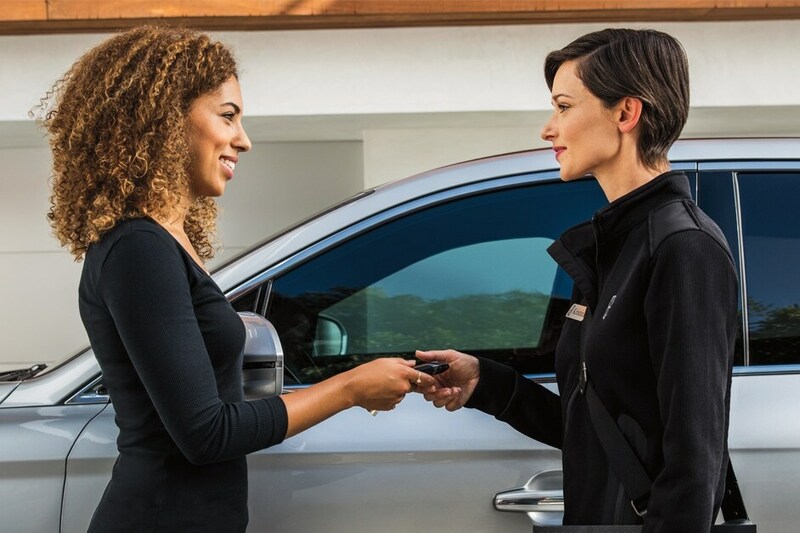 From the new car smell and the latest in technology to an untouched warranty and advanced safety systems, there's no denying the advantages that come with a new car, truck, SUV or crossover. We offer a wide range of new vehicles from the Lincoln lineup, including the new Lincoln MKC, Nautilus, MKZ, Continental, Navigator. Consider joining us for a test drive today. You don't have to spend a ton of money to drive a high-quality car at Ganley Lincoln of Middleburg Heights. Instead, you can drive an affordable used car to enjoy incredible bang for your buck! At such competitive pricing, you'll have the chance to drive a safe and dependable car without exceeding your budget! Fantastic customer service from Ganley Lincoln of Middleburg Heights doesn't end when the sale does; our dealership also staffs a fantastic, onsite auto service and repair center. Their goal: make sure every mile you spend behind the wheel is one that's free of worry. They do so by firmly knowing your specific Lincoln MKC, Nautilus, MKZ, Continental or Navigator inside and out, only using high-quality Lincoln parts and by making sure you're aware of every service being performed on your car as well as why it's being done. But it isn't our diverse new and used Lincoln lineup or even our many auto services that set Ganley Lincoln of Middleburg Heights apart from the rest. It's our unequivocal commitment to the customers we serve from the Strongsville, Parma, Cleveland and Medina OH area. At our dealership, we don't just want you to enjoy your new Lincoln MKC, Nautilus, MKZ, Continental or Navigator, we want you to enjoy the entire experience of buying it. Visit us at 6930 Pearl Road, Middleburg Heights, Ohio today and let us treat you right.